Je Suis Charlie Header set Expires "Wed, 15 Apr 2020 20:00:00 GMT" Header set Cache-Control "public"
We talk much about the freedom of the internet and how important it is to guard it. But in the process we can forget about the vulnerabilities of the printed media. There was a time when it was the authorities were the ones to fear, no longer generally the case in most of Europe and they certainly don't shoot people any more. The increasing real concern is how extremist groups, whatever their issue, seem to think that shooting journalists, cartoonists and editors will somehow stop them writing about them. This, I think, reflects on the phsycology of the extremists thinking that threats of violence can fix anything. How mistaken can they be, they may have killed the individual but they can't kill the idea. Now so many more will be inspired and called to comment and write in support of their colleagues. 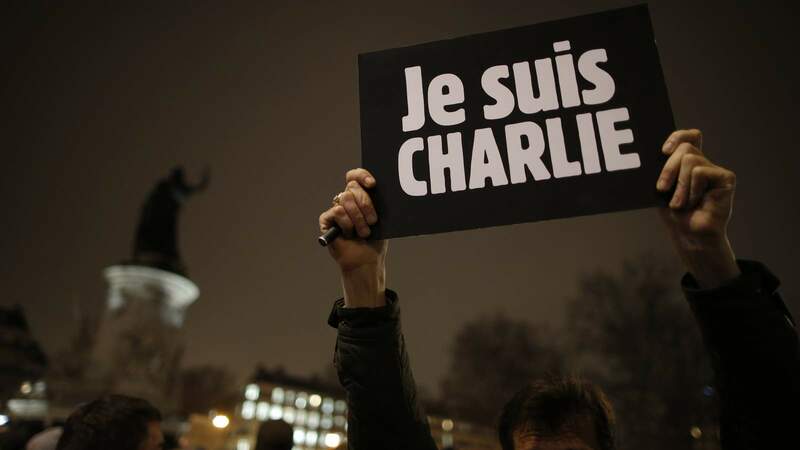 This is a dreadful time for those that died at Charlie Hebdo's and their families. Our thoughts are with them.